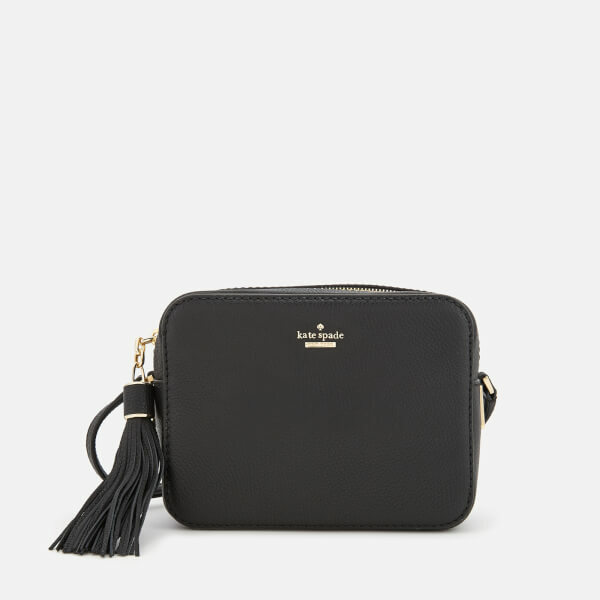 Women's leather cross body bag from Kate Spade. 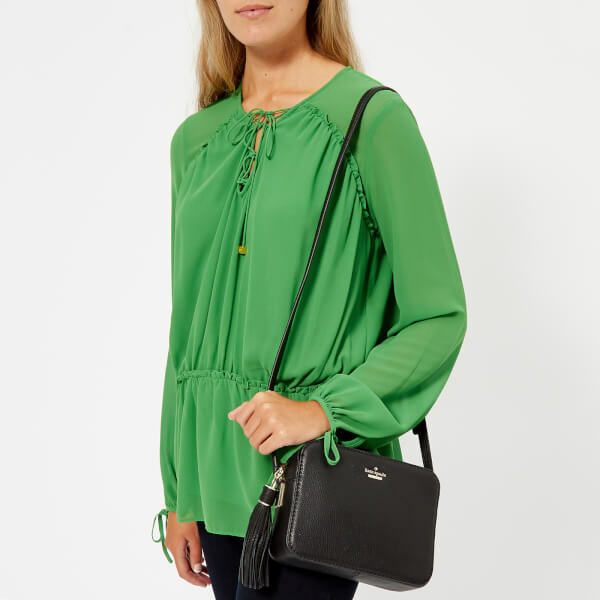 Crafted from pebbled leather with a softly structured silhouette, the 'Arla' bag is secured with a top zip fastening and opens to reveal a bookstripe polytwill-lined internal with single zipped pocket. A small, gold-tone spade emblem also features inside for a signature touch. 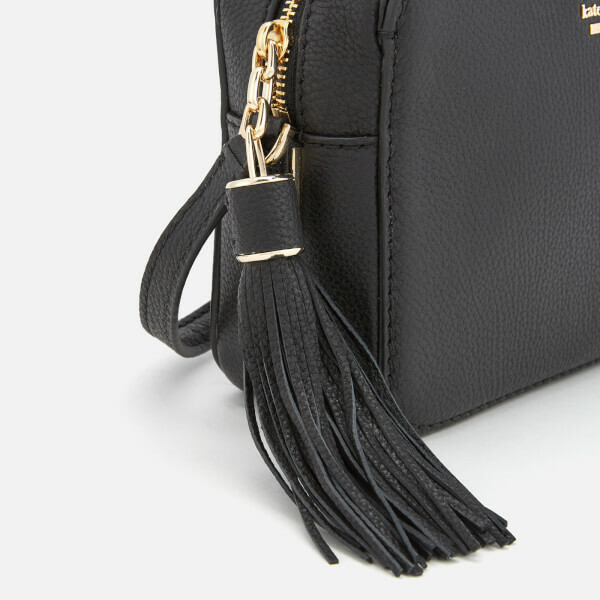 For easy carrying, the bag is equipped with an adjustable leather shoulder strap. 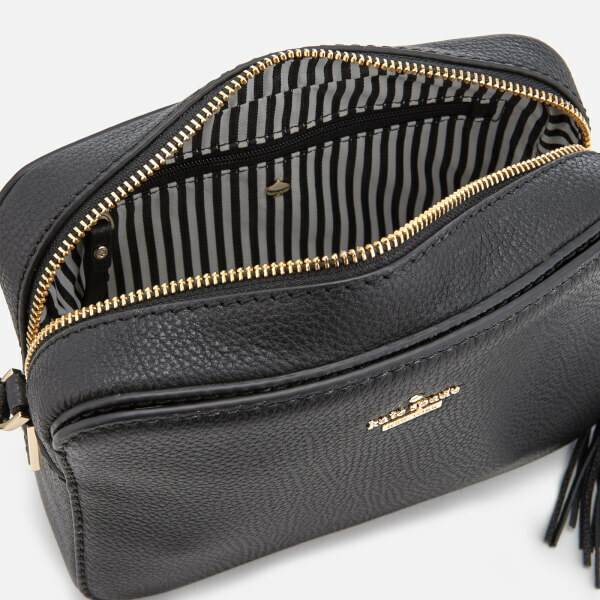 Finished with an additional press stud slip pocket to the front with gold tone branding, and an oversized tassel zip pull. Arrives with a branded dust bag printed with ‘she tucked her coral lipstick away and floated back to the party’ quote. 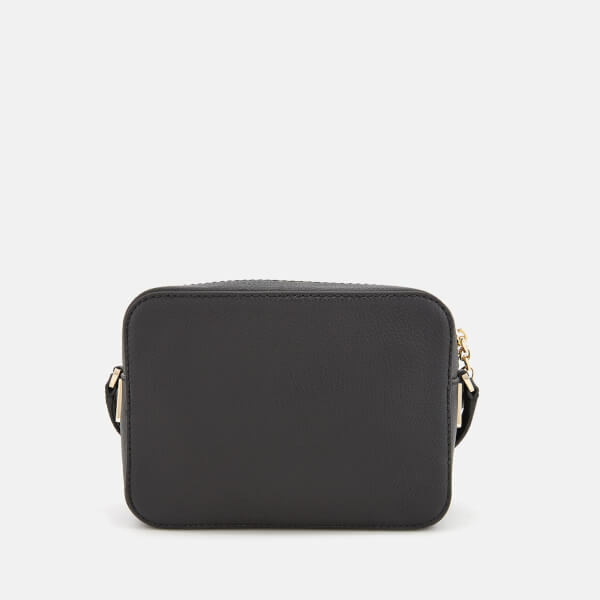 Shell: Cow Leather. Lining: 61% Polyester, 39% Recycled Polyester. Dimensions: H: 15.5cm x W: 20.5cm x D: 6.5cm. Strap Drop: 54cm.